This looks like a custom made sofa collection. 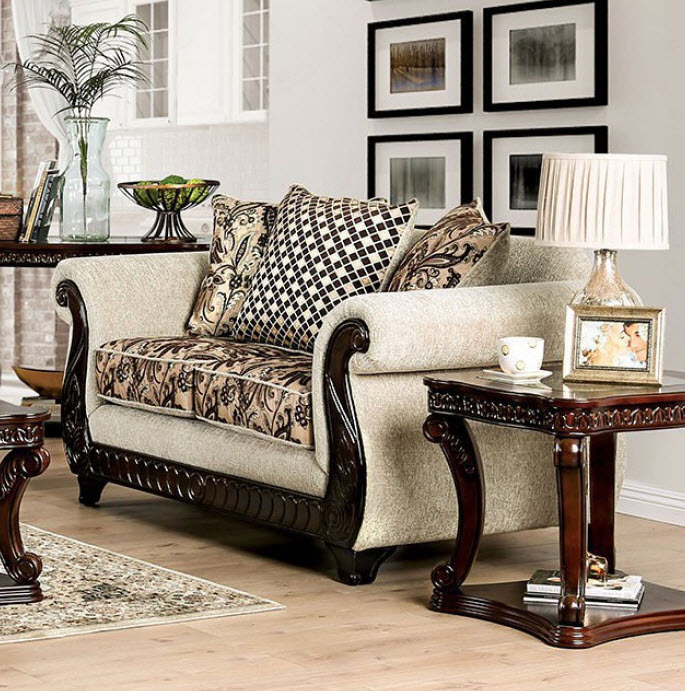 An intricate wooden trim dances along the skirt and climbs its way up the rolled armrests to accentuate the shape of the seating. 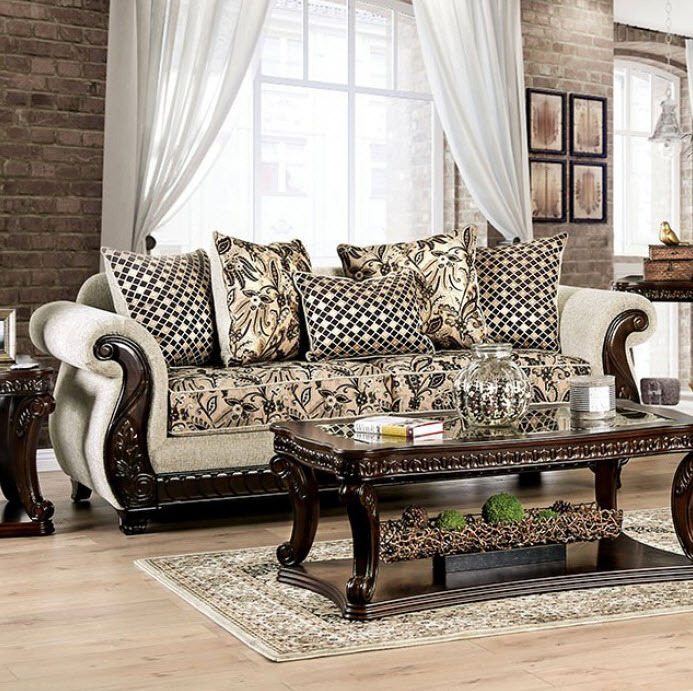 Ornate textile prints and soft chenille fabric covers the seat cushions in soft luxury. A dose of added throw pillows with trellis patterns help break up the floral prints and produce a visual pop. Please note that the base price only includes (1) Sofa. 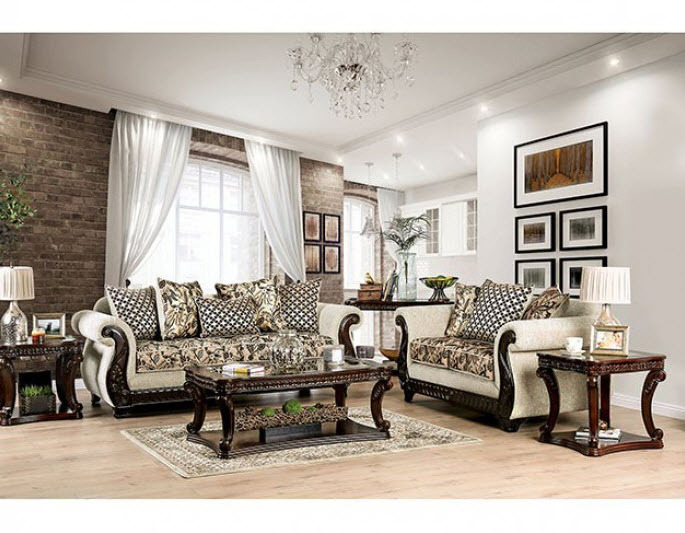 Please add the additional loveseat to customize this set to your liking.